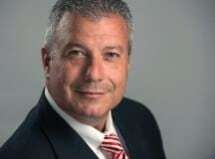 Peter J. Russo is the founder and sole shareholder in The Law Offices of Peter J. Russo, P.C. Mr. Russo earned a B.S. in Criminal Justice from Marist College in New York and was awarded his J.D. from Widener University School of Law. He is admitted, in good standing, to the Pennsylvania Supreme Court and United States District Court for the Middle and Eastern Districts of Pennsylvania. Mr. Russo began his legal practice in 1994, focusing on civil litigation and representing clients in arbitrations and trials in varied matters involving professional malpractice, business torts, commercial disputes and age and gender discrimination employment cases. He continues to focus on civil litigation, with an emphasis on real estate and business matters. Mr. Russo has represented individuals and companies including Victoria’s Secret, Blockbuster Video, York Waste Disposal, JB Hunt, as well as the Commonwealth of Pennsylvania. He has also created and operated many businesses including several title insurance agencies, a land development company and an abstracting company. Mr. Russo is a frequent legal speaker and has taught several continuing legal education classes and seminars on a variety of subjects such as real estate law and business law. He has also held a position as a faculty member for a local business school in the paralegal program. As a member of the Board of Directors for several non-profit organizations including Jump Street, Cultural Enrichment Fund and Jake Gittlen Cancer Institute, Mr. Russo has helped to raise in excess of $1,000,000.00 for local community organizations. Old Guard Mortgage & Financial Services, Inc.
Olde Forge Builders - Newville, Inc.